Few years back when I had travelled to Sri Lanka as a tourist, I was exposed to the wonderful cuisine of the island country. 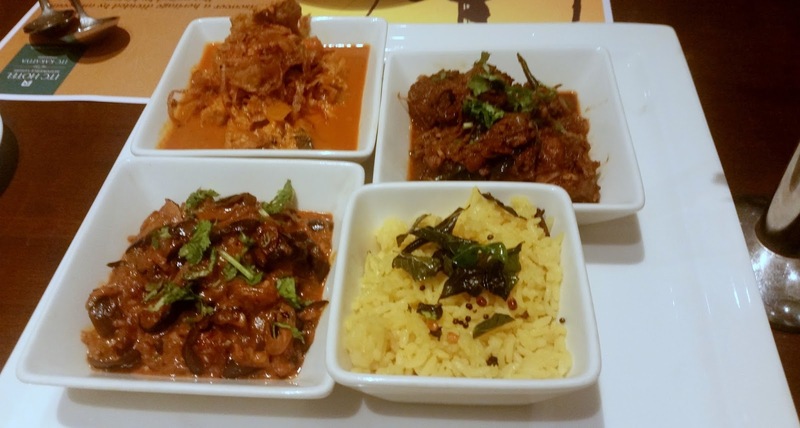 The Sinhalese cuisine has influences from Tamil Nadu, Kerala, and Malaysia, along with the use of local masala and abundant coconut. The Kothu Parathas with devilled seafood at the beach shacks, Idiappams with assorted sambols, red rice with coconut based fish curry, and egg hoppers made the trip extremely satisfying to the food lover in me. I was left wondering why recipes from the emerald island do not feature more in menus of restaurants here. The Kitchens of India initiative from ITC Hotels, which mainly concentrates on undiscovered cuisines, has given us some brilliant food festivals backed by their in-depth research. 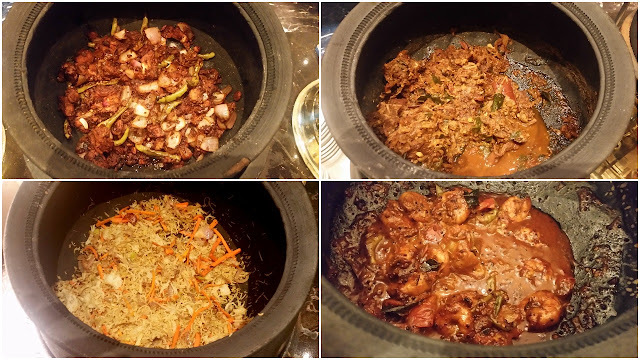 “The Spice Island Flavors” is the latest on their list, presented at Deccan Pavilion, ITC Kakatiya. 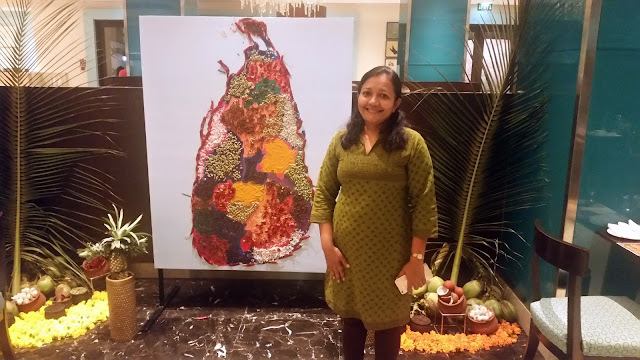 The curator of this festival is Priya Bala, chef and food writer, who comes from a family of Tamilians who came back to India during the tumultuous days of the Tamil movement in Sri Lanka. Invited to a preview of the festival, we had an informative session with Priya, who enlightened us on the how Sri Lankan flavours have influenced the cooking style of the returning Tamils who have settled in the southern belt of Tamil Nadu. The home food of these people, who had moved to Sri Lanka to work at tea plantations, had localized with the Ceylonese spices and condiments. For example, the non-vegetarian preparations are first simmered in coconut milk before spices like cardamom and cinnamon add flavours to them. To establish her point, she had diligently put together select dishes from this cuisine to be presented in this food promotion. 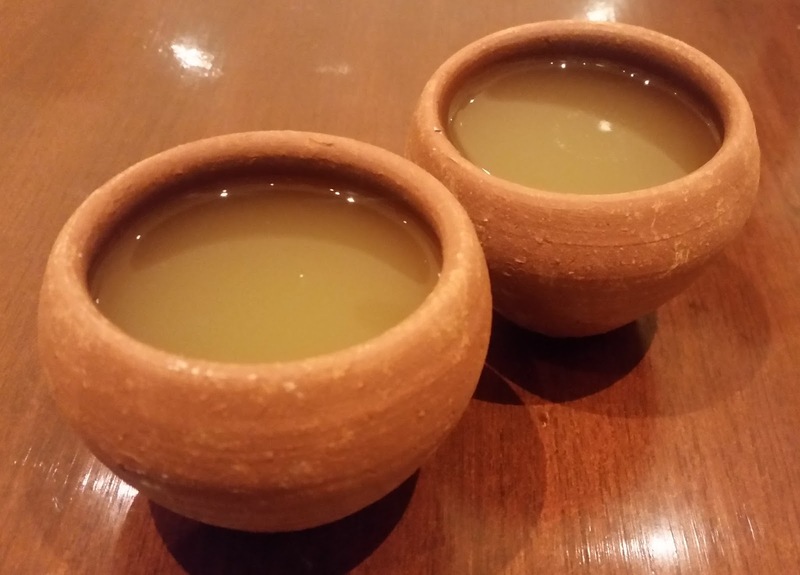 We settled down with a welcome drink, comprising of pineapple juice and a dash of chillies, which served as a cooler. I simply loved this and kept asking for refills throughout the entire meal. The appetizers were next to be presented. Crumb-fried Fish Cutlets were round shaped croquettes of fish mince and mashed potato with little spices. An ideal snack to go along with drinks. 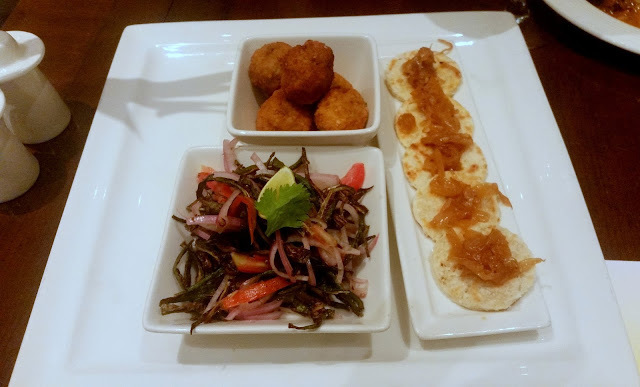 Another starter which I loved was Vendakkai Sambol, crispy fried thin slices of bhindi with tomatoes and onions. Then there was a starter showcasing onion based Seeni Sambol, from one of the long list of sambol recipes of the island country. Soon after, we made a visit to the buffet. To start with we picked up Manjal Soru, yellow rice soaked in coconut milk. There was a range of non-veg courses to go with it. First was the Devilled Fish, a stir fried dish with vinegar, soya and Worcester sauce. 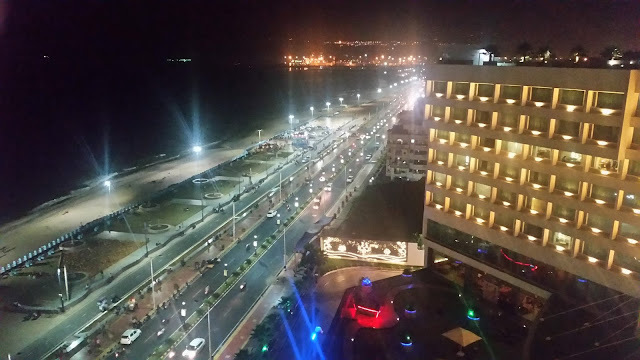 I remembered trying a similar preparation at the sea-side shacks of Galle Face, where they are called “devels”. This dish would again play a perfect foil to some good liquor. Eraichi Kurma was essentially lamb cubes in masala. I loved the taste of the dish, and would have loved if there were appams in the menu to go with it. Chicken Badun, a spicy chicken curry which possibly was the star of the main courses. Isso Thel Dala, a dry prawn dish went well with Idiappam Kothu, where shredded string hoppers (instead of shredded rotis in Kothu Paratha) were tossed with onions, carrots, and other vegetables. The items that were evidently home recipes were Paruppu (a masur dal preparation in coconut milk which was pure soul food) and Meen Curry. Another favorite among the vegetarian dishes was Brinjal Moju, a pickled preparation of the vegetable. The desserts had two items made of my favourite jaggery – Watalappam (jaggery and coconut milk pudding, A Malay influenced dish) and Kiri-Pani (curd topped with thick jaggery). Both were brilliant. 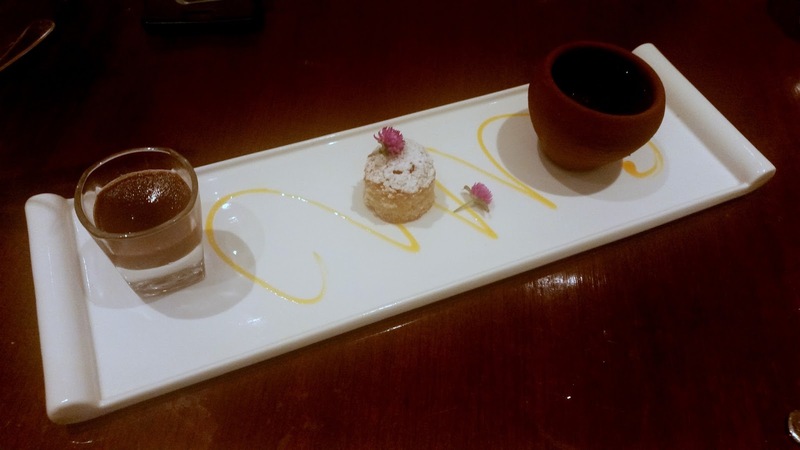 The third dessert was Love Cake, a small cake with cashew powder and rose water. We have many food promotions in Hyderabad these days, but this was one of the few unique ones for me. The reason lies in the subtlety and variations of flavours in this cuisine, in comparison to the usually available dishes of Tamil Nadu. Lovers of South Indian food will definitely enjoy this promotion which is on until May 1st only for dinner. 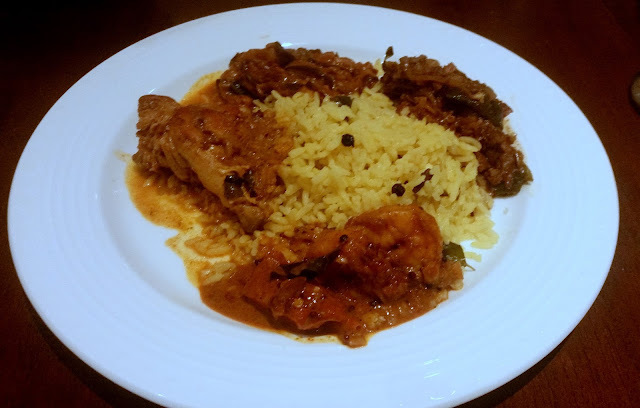 As is usual in Deccan Pavilion, the promotion dishes replace the Indian items on the buffet.